Speak with a Boise truck collision lawyer today for help as you pursue compensation for your serious injuries. Sharing the road with a commercial truck can be nerve-wracking. These vehicles are large and seen as the rulers of the road. Unfortunately, one wrong move by a semi can have devastating effects on the drivers and passengers traveling alongside it. To put it lightly, enduring a serious injury in a truck accident is a challenge. If you add the increasing medical costs of your injuries and other daily expenses to your worries, your truck accident recovery can be made all the more difficult. 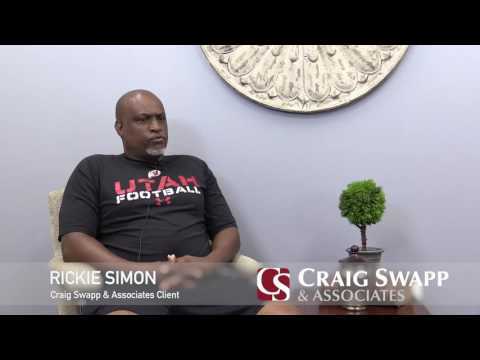 When you are ready to fight for the compensation you deserve, contact a Boise truck accident lawyer with Craig Swapp & Associates. The injuries sustained in a Boise semi-truck accident usually require significant recovery time because they’re so serious. In comparison to any other motor vehicle, pedestrian, or bicyclist, the enormous mass of an 18-wheeler is sure to cause substantial damage and injuries in a crash. Traumatic brain injuries, internal bleeding, spinal cord injuries, broken bone injuries, third-degree burns, lacerations, and amputations are all very common in accidents involving large trucks. These types of injuries can leave a truck accident victim permanently disabled and result in immediate, life-changing consequences. Because there are many individuals and entities involved in the safety and security of a semi-truck, there are a number of potential liable parties for your truck crash. The truck driver is usually the first to be considered at fault for a truck accident in Boise. Driving while fatigued is one of the most common forms of trucker negligence. Distracted, aggressive, or impaired driving are also frequent causes of commercial truck accidents. The trucking company that schedules the truck driver’s shifts can be an additional defendant in your Boise truck accident claim, especially if the cause of your semi crash was fatigued driving. The trucking company must follow Federal Motor Carrier Safety Administration regulations in the scheduling of drivers. This includes a maximum of thirteen-hour shifts and a minimum of twelve hours between shifts to allow the driver to regain strength after a long workday. If the involved trucking company failed to follow these guidelines, as many do, your Boise truck accident lawyer can hold it accountable for your truck accident injuries and damages. Apart from the trucking company and truck driver, cargo loaders, technicians, parts manufacturers, and even local and state road authorities could have played a role in your truck crash in Boise. Each of these parties has a responsibility to maintain either the safety of the vehicle or the safety of the roadways. When we are establishing fault for the semi truck accident, it’s important that we prove that you do not have more than half of the liability for the crash, because if you do, modified comparative negligence laws state that you will not be able to obtain compensation for your truck accident injuries. The purpose of filing a personal injury claim for a truck accident is to recover the damages you’ve sustained as a result of your injuries. It stands to reason that a serious injury will be accompanied by substantial medical bills due to the enormous costs of healthcare. Your medical expenses should be fully covered by the person or people determined to be at fault for your Boise truck accident. These costs can include your hospital bills, copays, medical equipment, adjustments made in your home to accommodate medical equipment, and your prescription medications. In addition to your medical expenses, the wages you’ve lost due to your truck accident injuries should also be fully recovered. Using the opinion of your physician, we will be able to determine how your injuries will impact your ability to work in the future and place a value on your loss of future earnings. These truck accident damages are easy to quantify due to their specific numeric values, but it’s very likely that you’ve experienced other losses due to your semi accident, such as pain and suffering, loss of consortium, emotional distress, or loss of enjoyment of life, which can be more difficult to place a monetary value on. In any case, you have a right to obtain compensation that will cover the complete list of hardships associated with your truck accident injuries. We will closely examine the severity of your injuries to enable you to walk away with the greatest possible financial award. At this point, you almost certainly have some questions. Filing a personal injury claim is a big undertaking, and finding the right Boise truck accident lawyer isn’t easy. That’s why we’ve answered some questions you may have in the following Boise truck accident FAQ. What if the driver of the truck was from out of state? The fact that the truck driver or semi is from another state will be irrelevant to your case. As long as the truck accident and injuries occurred within the state of Idaho, we will be able to seek compensation for your injuries in an Idaho court. Do I have to go to the hospital after an 18-wheeler wreck? Even if you feel fine after the truck accident, you should be seen by a medical professional. This can serve two purposes. Some common truck accident injuries aren’t visible, such as internal bleeding or concussions, so it’s important to get checked out to make sure you’re not in immediate danger. The other reason is to establish proper documentation of the injuries you have, which will be useful in your truck accident lawsuit. Should I give the trucking company’s insurer a statement? It often isn’t a good idea to give any insurance company a statement following a truck accident. Insurers are infamous for taking the words you say and making them into an admission of guilt or using them to make you seem at fault in order to reduce the compensation they will be required to pay you for your injuries. Fallen cargo from a tractor-trailer caused my accident. Can I still sue? Yes, you can. We can use the serial number of the cargo that caused your truck accident injuries to determine what warehouse it was shipped from, who loaded the item into the truck, and which semi and truck driver were involved in its transportation. From there, we can establish who was responsible for improperly securing the load, and hold that party accountable for the costly error. How long do I have to file a claim for a truck accident? Personal injury suits, including truck accident claims, have a statute of limitations of two years from the exact date of the accident or from the date you were officially diagnosed with an injury that is a direct result of the accident with the truck. After this two-year statute of limitations has expired, you will be unable to obtain compensation from the liable party in a truck accident claim. We can avoid going to court if the insurance company and negligent party are willing to negotiate your truck accident claim for a reasonable settlement amount. Sometimes, the insurer will refuse negotiation or fail to make you an offer that will adequately cover your damages. This is when we will continue your truck accident claim in court to give you a better opportunity to win the compensation you’re entitled to. Being involved in a serious accident with a truck can be both terrifying and traumatizing, and it can leave you with injuries that can be permanently disabling. At Craig Swapp & Associates, our goal is to help you recover from this disastrous accident without entering a dire financial situation. Schedule your free, no-obligation consultation with an accomplished Boise truck accident lawyer today by calling us at 1-800-404-9000 or filling out the contact form at the bottom of this page.